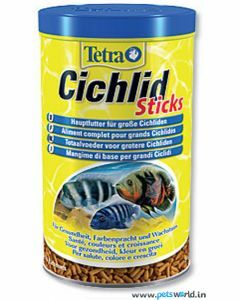 At Pets World, you will get a good number of food pellets specifically designed for the tropical cichlid. These brightly colored fish really add life to your aquarium. However in order to maintain their health, it is important to provide nutrition that really matters to them. 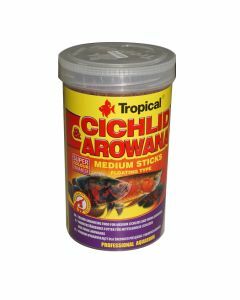 We have a range of sinking type and floating type cichlid food to satisfy the nutrition needs of the cichlid fish. 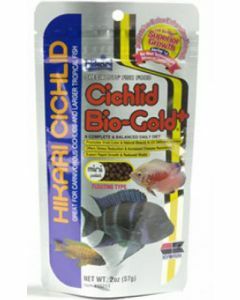 Our floating type cichlid food granules are made using the latest HTST technology. This prevents the pellets and sticks from dissolving when put inside the water. 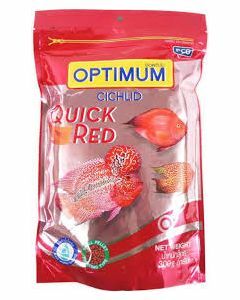 They taste great for the carnivore cichlid fish and have a balanced mix of fiber and carotenoids. The food is great for supporting immune system health. It brings out the brilliant shades on its body that light up your aquarium’s visual appeal. 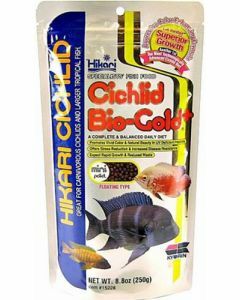 Different Cichlid food like Tropical Cichlid Omnivore Fish Food Medium Pellet and Hikari Cichlid BioGold Plus Fish Food are available on the Pets World website. They help build the fish’s natural form and enhance its natural beauty. Depending on your requirement, we make the products available in different sizes – from 250 grams mini pellets to 1000ml regular pellets. 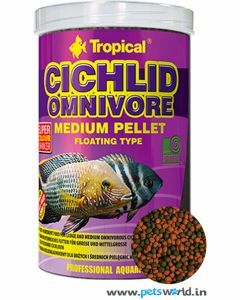 If your fish carries an ornamental head then products like the Taiyo Bumpy Head Fish Food and PCG Optimum Cichlid will help. 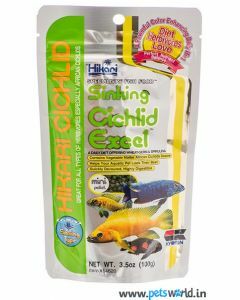 These cichlid food boost the head formation, provide the much-needed nutrients, and bring out a rich lustrous shine overall.